Wedding Cancelled by Text Message: Who Gets the Ring? It is bad enough to think that one or the other of a couple cancels a wedding engagement, but to do so via text message – that’s just plain tacky. However, it happened to one woman and the story took an interesting turn. Louis and Christa had been dating for two years when Louis decided to propose to Christa. The almost 3-carat diamond ring that he gave her was valued at $53,000. The couple immediately set a date for the wedding and began living together in New York as they prepared for the special day. Louis paid all of Christa’s living expenses including her car and health insurance and her cell phone. He was apparently very generous to her during their time together, taking her on trips and buying her expensive gifts. The kicker came when Christa refused to sign a pre-nuptial agreement. After a phone discussion, Louis then broke off the engagement via text message. Needless to say, Christa was hurt and angry especially about the way in which her beloved called off the whole thing. In the text, he also asked her to return the expensive engagement ring; she refused, and he agreed to let her keep it for the down payment on a house. Christa moved her things out of his house, and Louis reimbursed her family the money they had spent in planning the wedding. In a subsequent text, Louis decided to ask for the ring back, and wrote, “You by law have to give it back.” Christa refused and Louis sued her. Louis told the judge that he was being “sarcastic” when he first told her to keep the ring. 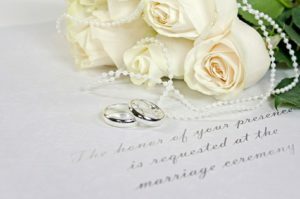 He cited a New York law which stated that gifts given during an engagement are “given solely in contemplation of marriage”, and should be returned if the marriage doesn’t happen. What do you think? Should Christa have returned the ring to Louis?